Cork, 27 February 2017: The CEIA – Cork’s Technology Network – in collaboration with the Tyndall National Institute, have developed a work experience programme designed to give TY students a real insight into a high-tech career. 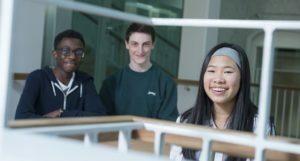 ‘HighTechElec’ is a free, immersive TY work experience programme for students considering a career in STEM – science, technology, engineering and math. 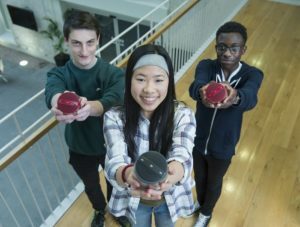 The HighTechElec programme has already seen 21 students from 13 schools across Munster participate in the first part of the 2017 programme which includes a week of physics, electronics and technology based workshops, lectures, career talks, and industry placement, culminating in an innovation competition called TechnoDen. Industry partners include Dell EMC, Boston Scientific, Johnson controls, Horner APG, Moog, Cork Internet eXchange, S3 Group, Sanmina SCI, Firecomms, and Pilz. “The HighTechElec programme provides students with invaluable experience across industry and academia. Through meeting and working with scientists and engineers, students get first-hand experience of the career choices available to them,” said Dr. Eamon Connolly, Electrical and Electronic Engineering Promotion Officer, CEIA. “The difference between the ‘HighTechElec’ programme and any other TY work experience programme is that this is very structured – every hour is accounted for, optimising the experience for each student. At the end of the week students will participate in the TechnoDen competition in Tyndall National Institute, where groups of 2-4 students make a short presentation to a panel of judges – about a new idea for a product or service – based on the technology they encountered during their week. The competition element really encourages them to ask questions and think outside the box,” he added. “We had 7 teams in total compete in the first round of TechnoDen this year, and the competition was very tight. I am delighted to announce that the winning team was ‘Flow’ with students from St. Brendan’s College Killarney, Colaiste an Spioraid Naoimh and Presentation Secondary School, Mitchelstown,” said Valerie Cowman, Skills and Education Chair of the CEIA. “I would like to thank our dedicated judges Dr Alan Matthewson, Dr Pedram Razavi and Nicola Cooney from Tyndall National Institute. I would also like to thank our wonderful industry partners for their support of the programme” she added. The HighTechElec programme runs for two weeks and is open to all TY students in the region. Application forms are available on the CEIA website www.ceia.ie.